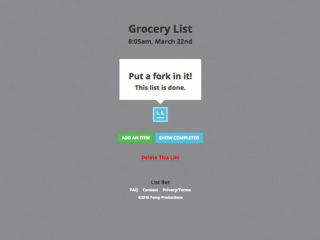 List Bot is a productivity tool for shared to-do lists born out of necessity. 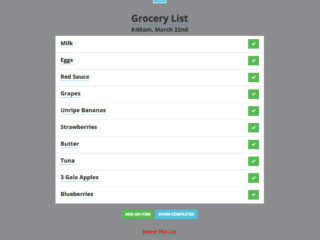 Tired of receiving shopping lists as unorganized SMS messages, we decided to solve the problem. But there’s an App for that! Of course there is… There’s an App for everything. We wanted an app-less solution that works with everyone’s favorite communication tool – SMS. 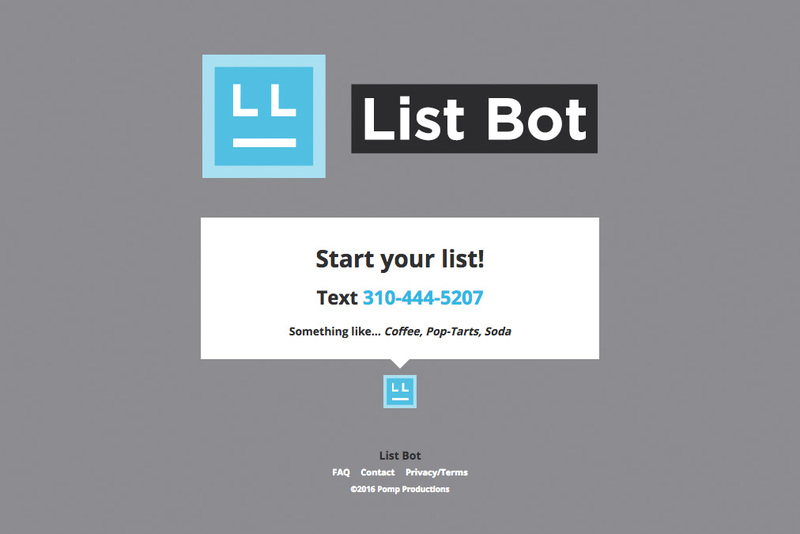 Text a list to List Bot and you receive a disposable URL with your list neatly formatted and easily reordered. 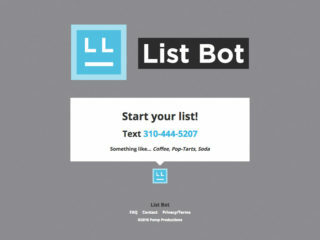 List Bot works on any device and can easily be shared – Text SEND and a phone number to share. You can add new items via SMS or through the interface. Once your list is done, that’s it. There’s nothing to manage, nothing to cleanup and nothing to think about. List Bot is shared to-do list simplicity at its finest.